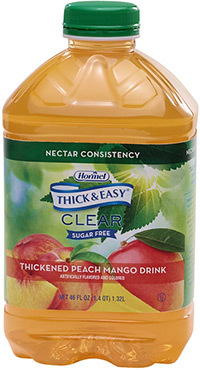 With summer coming up right around the corner Hormel Health Labs would like to remind you of our new Refreshing & Hydrating Thick & Easy® Clear Sugar Free Thickened Peach Mango Drink. Great for hot summer days, and meets your Dysphagia diet guidelines. Hormel Health Labs also has another new product Thick & Easy® Pureed Bulk Meats & Vegetables. Coming in 6/2.25 lb. Boil-in-Bags. Very easy to prepare and store.